Breedables News in your second life…..
Not long ago I posted on GreenTowns forthcoming release of the lambs that were previously in beta, this release of a pet version prior to the breedable version will see all proceeds (for the first month) going towards fundraising for the Japanese Relief fund. A free pet lamb is available for GreenTown Beta Testers and various packages will be available for sale, there are also donation boxes, at the Country Store so go and have a look and support a good cause. 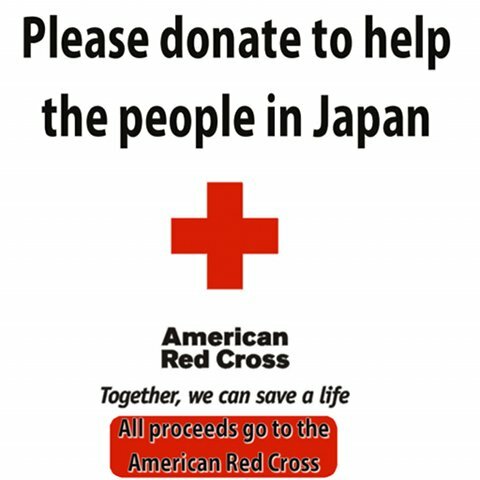 GreenTown are intending to release their pet Lambs in the next week, donating 100% of sales in the first month towards the Red Cross, to assist in their efforts in helping Japan. So if you have enjoyed the lambs during Beta or are a Lamb Lover than please support GreenTown in supporting those in need. 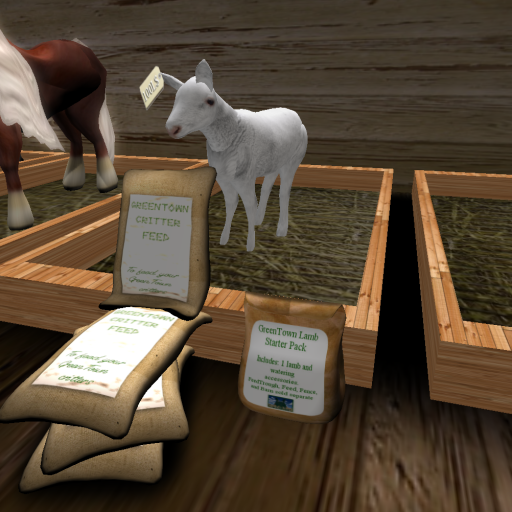 Join the GreenTown Farmers Group inworld for more information. I caught up with JC Zepp tonight after wondering where the cute lambs were up to. I lost track of them after being away and never getting into the second round of beta testing. It seems they have been busy since then, because they are about to off the lambs for sale as ‘pets’ and have started beta testing the cows now. 1) We have decreased the gestation period to two weeks from four weeks. 2) The pet animals can be bottle fed with the included milk bottle. 3) With the pet version you get a different color animal, and a chance at getting one of several rare texture schemes, every time you rezz one. 4) More streamlined coding to further reduce lag. 5) You get the option to paint your water tub, feed trough, and barn from a selection of 14 different paint colors (spray paint cans). 6) The pet version animals actually deliver a new baby animal to you upon birthing. 7) Newly added thought bubbles. There is an expected release date for the pet version of the Lambs of a little more than a week as they just have to do some final tweaks and testing before it is ready. Chickens and Ducks are next on the beta list and he expects to be releasing the chickens sometime this month to the GreenTown Beta Testers. 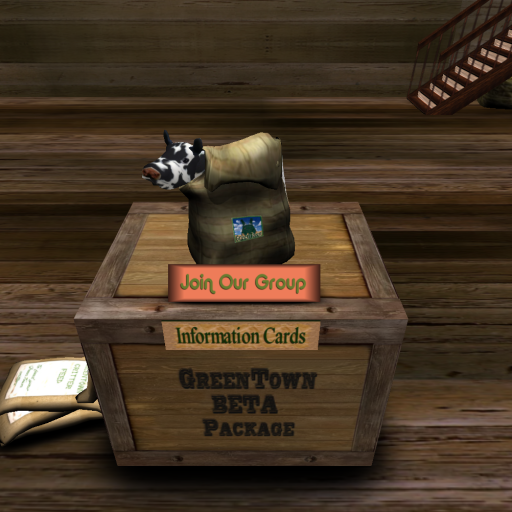 If you would like to be part of the beta testing just join the GreenTown Farmers Club inworld.